Please let us know if your school or organization would like to host or sponsor a future event! The Great Adventure Lab encourages girls especially to explore and enjoy the world of science, robotics, engineering, chemistry, biology and more! Studies have shown that as early as second grade, both girls and boys are more likely to associate math with boys rather than girls. In our own classes, boys make up two thirds or more of our students. But they don’t make up two thirds or more of the population. So what’s happening? What’s happening is that knowingly or unknowingly, ads, teachers and even parents are somehow giving girls the impression that they are not that ‘good’ at science and math. This could be something blatant like telling a girls to play with dolls instead of messing with her brothers’ trains, or it can be much more subtle, like never even considering the idea that your girl might be interested in say, electronics. The girls in our classes are awesome! and often ‘beat’ the boys in competition. In fact, that’s the story behind this photo: the girls pictured at left were the winning team in a contest to use the strength of triangles to build the tallest tower in our Young Engineers class! To make girls feel more comfortable exploring the world of science, we started a series of parent-daughter events called Girls Get Science. Girls get to play with robotics, programming and more in an all-girl environment, and they and their parents get to meet and learn about the careers of leading women scientists and engineers. We have drawn a lot of speakers form NASA and local companies. These events are great fun! Please attend! We’d love to inspire your daughter! Please join us for this wonderful event. It is absolutely inspiring to see scores of girls, laughing and having fun while learning about science from women scientists in an all-girls environment! Girls Get Science is a two-hour event for parents and daughters, grades K-8, from any school. Bring your science lovers AND your science phobics. During the first hour, girls attend mini-workshops in robotics, video game programming and/or engineering, while their parents hear our panel of women scientists discuss how to make science and engineering more fun and less intimidating for girls. During the second hour, parents reunite with their daughters and rotate through presentations by our panelists. Scroll down for speaker bios. Dr. Veronica T. Pinnick works at NASA’s Goddard Space Flight Center, in Greenbelt, MD, where she is in charge of Integration and Testing of the Mars Organic Molecule Analyzer, a mass spectrometer that will ride aboard the European Space Agency’s ExoMars rover set to launch in 2020. Her background is instrumentation development specializing in mass spectrometers and vacuum systems. Dr. Pinnick previously worked verification of command scripts on the Sample Analysis on Mars (SAM) testbed located at Goddard Space Flight Center. Her current research interests include the development of instrumentation and methodology to sample non-volatile organics in ambient planetary environments. Dr. Candice Johnson is a visiting molecular and cell biologist in Biomolecular Measurement Division of NIST. For her Ph.D., Dr. Johnson focused on host-parasite interactions and the significance of parasitic surface proteins. She looked primarily at a parasite called Trypanoosma Cruzi, which causes Chaga’s disease, endemic in central and South America and on the Center for Disease Control’s priority list for public health action. She also established fluorescent infection screening assays and standardized protocols to help scientists see organelle movement within a cell during cellular infection. She saw that blocking endosomal trafficking could block cellular infection. Dr. Johnson did a post-doctoral fellowship at the US Food and Drug Administration where she developed a method to study inner ear infections and chronic pulmonary obstructive disease. She discovered that nitric oxide production by bacteria killed the inner ear cells and allowed for infection by other bacteria. As an academic program manager at NIST, Dr. Pritchett mentors and advises college students who intern with the agency. Dr. Jeanita S. Pritchett is a research scientist who began her tenure at NIST as a post-doc working on a number of forensics projects. Look for her on TV this summer! She will appear on HLN’s “Beyond a Reasonable Doubt,” a new TV series about high-profile cold cases that were ultimately solved by advances in forensic science. Dr. Pritchett enjoys doing STEM education outreach and demos at local schools and churches as well as abroad in South Africa. As the recipient of an Embassy Science Fellowship, she had the unique opportunity to work at SciFest Africa, South Africa’s largest science festival, for three months to develop hands-on content for the program as well as training resources for educators. Dr. Anais Bardyn is a postdoctoral fellow in the Department of Terrestrial Magnetism at the Carnegie Institution of Washington. For her PhD, Dr. Bardyn used data collected by instruments on the Rosetta spacecraft to study the organic matter in particles from a comet. The Rosetta Spacecraft made a ten-year journey around our solar system, using the gravitational force of Earth and Mars to slingshot it to its final destination, the Churyumov-Gerasimenko comet. These days, Dr. Bardyn is analyzing extraterrestrial particles from clean Antarctic air in the South Pole station. She’ll compare those with the comet particles to see if any of the South Pole air might have originated from a comet. When not working, she likes to bake cakes, travel, read and garden. She makes a wicked tiramisu! Dr. Hawkins is Chief of the Severe, Fire, Public, and Winter Weather Services Branch at the National Weather Service department of the National Oceanographic and Atmospheric Administration (NOAA). She provides programmatic leadership for the nation’s severe, public, and winter weather services, as well as weather-support response services for wildland fires in support of NWS land management partners. Dr. Hawkins also works with health partners such as the Centers for Disease Control and Prevention to advance our understanding of weather-related impacts on human health. Dr. Hawkins moved to Washington D.C. from Chicago to major in chemistry at Howard University. As an undergraduate, she participated in NASA sponsored program focused on terrestrial and extraterrestrial atmospheres. Dr. Hawkins had always been fascinated by Chicago’s severe storms and winter weather and the NASA program solidified her trajectory into meteorology. “I feel like a kid in a candy store here in the National Weather Service,” Dr. Hawkins explains. “There is always an exciting science problem to solve and as someone who has always loved weather, this is the place you want to be. Dr. Hawkins earned her PhD in atmospheric sciences and her bachelor’s in chemistry from Howard University. As a first-year Ph.D. student at the University of Maryland, Ms. Nolan is studying computational materials science – how tweaking the atoms and molecules that make up a material can dramatically change that material! For instance, which atoms do you need to add to an alloy to make it stronger? Lighter? More flexible? At UMD, Ms. atom is part of a group researching lithium-ion batteries. How do those work? Ask her! Ms. Nolan grew up right here in the DC area. She attended Montgomery County Public Schools including Pine Crest ES, Eastern MS and Richard Montgomery HS, where she completed the International Baccalaureate program. When she’s not hard at work, she likes to spend time outside running, Orienteering and most of all, playing ultimate frisbee. She also loves to cook and eat lots of food. Ms. Nolan earned her bachelor’s in science from Cornell University. Ms. Alexander-Morrison works to make sure that the satellites in space stay in one piece and on course. She has worked on numerous projects over the years, including: the Hubble Space Telescope, the Far Ultraviolet Spectroscopic Explorer and the Fast Auroral Snapshot Explorer. She has a BS in Materials Science and Engineering from the University of Florida and a MS in Industrial Engineering from the University of Tennessee. Dr. Alina Alexeenko is an award winning and extensively published professor from Purdue University’s School of Aeronautics and Astronautics.Her research focuses on rarefied gas flow phenomena that occur in high-altitude flight. That includes high-altitude aerothermodynamics and spacecraft contamination.Dr. Alexeenko also studies emerging technologies such as micro-electro-mechanical systems for space communications and micropropulsion in vacuum manufacturing processes. One of her long-term goals is finding more applications for rarefied gas dynamics! She has a Ph.D. in Aerospace Engineering from Pennsylvania State University. She earned her PhD in biomedical engineering and electrical engineering from George Washington University. She earned undergraduate degrees in Electrical Engineering from George Washington University, the Arab Academy for Science, Technology and Martime Transport in Alexandria Egypt; and Birzeit University in Palestine. 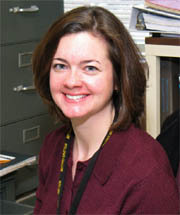 Ms. Bailey was encouraged to explore computer engineering as a career in high school, where she excelled in both math and science. If she had not become one, she thinks she would have become a fashion designer or seamstress instead! You can read more about her here. Dr. Tamira Butler is a post-doctoral scientist at the National Institutes of Health, where she investigates the roles of small RNAs in bacteria. During her graduate research, Dr. Butler worked with Plasmodium falciparum, the parasites that cause malaria. She discovered a new vesicular structure in human red blood cells infected with malaria. Understanding these vesicles could lead to new and better treatments for people infected with P. falciparum. Dr. Butler earned her PhD in Biology and Biomedical Sciences from Washington University in St. Louis, and a B.S. in Chemistry-Biochemistry from Florida A & M University. When she’s not working on new cures for parasitic diseases, she teaches for The Great Adventure Lab! Dr. Cari Corrigan is bringing meteorites to show the girls! She is the curator of Antarctic meteorites at the Smithsonian. She studies meteorites from the Moon, Mars and asteroids in order to understand how the Solar System — and particularly its rocky planets — formed, and to learn how the impact cratering process affects these planetary materials. She is also involved in the Mars Exploration Rover project, processing images that come down from the Opportunity Rover. She has been to Antarctica twice to collect meteorites with the Antarctic Search for Meteorites program (ANSMET) and would go back again in a heartbeat! Dr. Corrigan earned her PhD in planetary science from Case Western University. Her dissertation focused on Martian meteorites! She earned her master’s and bachelor’s in geology from Michigan State University, East Lansing, Mich.
Dr. Conrad studies rocks on other planets for signs of former life! She is the deputy principal investigator for the new science lab that just landed on Mars thanks to its ‘ride’ the Curiosity rover! The lab, called SAM (aka “Sample Analysis at Mars.”) is beaming new information to us from the red planet. Dr. Conrad loves to bring props to show and is really looking forward to sharing SAM’s findings with the girls. Notably, Dr. Conrad also sports a pair of hand-painted sneakers with an image of the Curiosity Rover. She was a big hit at our first ever GGS event last year. As a geologist, Dr. Conrad has voyaged to some of the most extreme climates on earth, including Antarctica. In addition to speaking at conferences all over the world, Dr. Conrad, an avid scuba diver, appeared in Aliens of the Deep, by James Cameron, director of Titanic. She has a Master’s in Philosophy and Geology and a PhD in Geochemistry and Mineralogy. Oh. And she’s a former opera singer and television producer. Dr. Jamie Elsila is an Astrochemist at NASA’s Goddard Space Flight Center. She searches for the building blocks of life in the universe! She is currently working on the OSIRIS-REx (Origins, Spectral Interpretation, Resource Identification, Security–Regolith Explorer), that will travel to the Bennu (RQ36) asteroid and bring back samples to Earth. These samples will help NASA investigate planet formation and the origin of life, and the data collected at the asteroid will also aid our understanding of asteroids that can impact Earth. Bennu has a 1-in-1,800 chance of impacting Earth in the year 2182! Dr. Elsila has B.A. from Kalamazoo College and a PhD in Chemistry from Stanford University. In between college and graduate school, she spent two years as a Peace Corps volunteer in Tanzania. Michelle Evans, forensic chemist BATF. Reprinted with permission from The Washington Post. Dr. Evans has an explosive job. As a forensic chemist, she studies the aftermath of car bombs, mailbox bombs, which helps investigators figure out who planted and designed them. She recently wrote a brief description of her chosen career for The Washington Post. We’ve reprinted this photo with permission from the newspaper. Dr. Evans has a BS in Biological Sciences, and MS in Microbial Ecology and a PhD in Civil and Environmental Engineering. Dr. Caroline Freissinet is a postdoctoral researcher in NASA’s Solar System Exploration Division. She is part of the team of scientists who recently used Curiosity’s Sample Analysis at Mars (SAM) instrument to make the first definitive detection of organic material on the Mars surface. Dr. Freissinet is originally from France. Her research has taken her all over the globe, from aboard the Norwegian Polar Institute’s research vessel Lance in Norway to the glaciers of Greenland … to NASA Goddard in Greenbelt, Md. She has a Ph.D. in Analytical Chemistry from Ecole Centrale in Paris, a master’s degree in genomic cell development evolution from the University of Paris and the equivalent of a B.S. in biology from Ecole Normale Superieure de Lyon. Dr. Glaze is the Principal Investigator for the proposed mission to Venus known as the Deep Atmosphere Venus Investigation of Noble gases, Chemistry, and Imaging, or DAVINCI. This mission would send a probe on a journey down through Venus’ atmosphere, winding up in the planet’s roughest and most geologically complex terrain. The probe would explore the planet’s atmosphere essentially from top to bottom, even the deep layers largely hidden from Earth-based instruments and orbiting spacecraft. Her research interests include physical processes in terrestrial and planetary volcanology, atmospheric transport and diffusion processes, and geologic mass movements. She explained her interest in volcanoes in a 2014 interview for Women in Planetary Sciences. “I was drawn to volcanoes ever since I went to the Pompeii AD 79 traveling exhibit as a teenager in 1979. I was also living in Seattle when Mount Saint Helen’s erupted in 1980. I was really intrigued by that eruption.” Ask her to explain the difference between pahoehoe and a’aa lava! Dr. Glaze earned her PhD in Environmental Science from Lancaster University, Lancaster, U.K; and her bacheelor’s and master’s degree in physics from the University of Texas, Arlington. Dr. Angela Hight Walker uses spectromety and other measurement methods to probe the underlying chemistry and physics of nanomaterials. Her mission: learn more about the physiochemical properties of nanomaterials so we can get a better idea of how to use them in medicine and energy. Among other things, she works with carbon nanotubes, which can disable key molecules in chemical weapons like Sarin. Researchers hope that one day, carbon nanotubes can be woven into clothing. You can read about that here. Last year, Dr. Hight Walker also co-organized of the Mid-Atlantic Conference for Undergraduate Women in Physics, which brought 135 women from 50 colleges and universities to Gaithersburg and College Park in 2014. She has a Ph.D. in Chemical Physics from Wesleyan University and a B.A. in Chemistry with a minor in Physics from Capital University, Columbus, Ohio. Full title: Aerospace Reliability Engineer of Electronic Components. Ms. Jah designs test plans, and implements testing of electronic components for space-based science instruments including, Gravity and Extreme Magnetism Small Explorer (GEMS- the successor to the Hubble Space Telescope), an Earth precipitation measurement satellite Global Precipitation Measurement (GPM) and most recently, the James Webb Space Telescope. She has worked as an aerospace engineer at NASA since 2002. Ms. Jah earned her bachelor’s and master’s degrees in electrical engineering from Howard University in Washington, D.C.
Ms.McCafferty is a computational biophysicist at the NIH, where she works on writing algorithms to describe protein folding. Missense mutations lead to protein misfolding and ultimately genetic disease such as Age-related Macular Degeneration, Alzheimer’s, and many more. To this end has she created the Unfolding Mutation Screen, which provides a full analysis of a protein structure and the consequences of missense mutations. It is her goal that this program will aid both the diagnosis and treatment of genetic disease. Caitie is also involved in academic outreach at the NIH and has served as a mentor for the HiGH Step program at the NIH where she introduced students from disadvantaged backgrounds to possible career opportunities in the STEM fields. Ms. McCafferty has a BS in Chemistry from the University of Maryland where she also minored in Math and Spanish. During her undergraduate years, she studied Environmental Policy and Sustainability in Indonesia. Dr. McDonough is a post-doc researcher who specializes in the study of small mammals, particularly African rodents. While she was earning her master’s degree in biology at Angelo State University (part of the Texas Tech University system), she studied specimins of Wagner’s bonneted bats, which are native to South America. She noticed some chromosomal differences in the specimins and convinced her faculty mentor to lead a field trip to Ecuador to trap more specimens. Research from that trip led to the discovery of a new species, Wilson’s bonneted bat, and Dr. McDonough was among those credited with the discovery! She earned her PhD in biological sciences from Texas Tech University, an M.S. biology from Angelo State University in San Angelo, Texas and a B.S. in Wildlife Biology from Texas State U. She previously worked as an environmental educator at a children’s museum leading students on field trips to local woods, wetlands, and the Chesapeake Bay before becoming a classroom teacher. Ms. McMahon earned a BS in Biology from Earlham College and her MAT from John Hopkins. Dr. Nagaraja is currently a science team member on NASA’s Lunar Atmosphere and Dust Environment Explorer, (LADEE) program. She also writes for the [email protected] blog. Previously, Dr. Nagaraja worked at NASA’s Johnson Space Center, training astronauts who flew aboard both the U.S. Space Shuttle and the International Space Station. Dr. Nagaraja also worked in NASA’s Mission Control Center as a certified flight controller for the communications system of the International Space Station. Dr. Nagaraja is also a role model with the National Science Foundation FabFems role model program, a young professional of the World Affairs Council, and a member of Women in Aerospace. Dr. Nagaraja holds a bachelors degree in aerospace engineering from Texas A&M University, a masters in mechanical engineering from the Georgia Institute of Technology, and a doctorate in biomedical engineering from Georgia Tech and Emory University. NASA climatologist and principal scientist on the Aqua project, which uses a satellite to monitor changes in the polar ice caps. Dr. Parkinson is the lead author of an atlas of Arctic sea ice from satellite data and coauthor of two other sea ice atlases. She and her colleagues have detailed the significant loss of sea ice in the Arctic since the late 1970s and the lesser increase of sea ice in the Antarctic over the same period. She’s the author of several books including Coming Climate Crisis? Consider the Past, Beware the Big Fix and Breakthroughs: A Chronology of Great Achievements in Science and Mathematics, a history of Western science from 1202 to 1930. Ms.Carmen Leon Pacheco moved to the United States from La Paz, Bolivia thirteen years ago and went to high school in Arlington, VA. She has been working in the construction industry for three years and is an active member of the National Association of Women in Construction (NAWIC). She recently finished completing a project building, the largest high school in VA, which is one of her proudest accomplishments. She has also worked with organizations such as Latinas Leading Tomorrow to help encourage Latina girls to consider a career in Engineering. Ms. Leon Pacheco graduated from George Mason with a bachelors and masters degree in Civil and Infrastructural Engineering where she was a member of the Civil Engineering Honor Society. Ms. Pfeifer has dreamed of being a scientist since age 8. She is well on her way after earning a BA in Biological Basis of Behavior from the University of Pennsylvania and two master’s degrees (Applied Anthropology and Biology) from the University of Maryland. Now she’s earning her doctorate in Biology at Maryland, with a focus in human evolutionary genetics – in other words, how genetics has affected the way we have evolved our social behavior! Ms. Pfeifer has worked in several NIH laboratories including Neuroepidemiology (NIA), Comparative Ethology (NICHD) and Neurogenetics (NIAAA). She’s currently a guest researcher in the Human Genetics Branch, Laboratory of Anxiety and Mood Disorders at NIMH. She lives in Silver Spring with her husband, two sons, and two rescue dogs. Dr. Veronica T. Pinnick is a research associate at NASA’s Goddard Space Flight Center. She is working on the development of a miniaturized ion trap mass spectrometer for Mars Organic Molecule Analyzer (MOMA) which will ride aboard the European Space Agency’s ExoMars rover, which is scheduled to launch from Russia in 2018. ExoMars will be able to drill two meters deep into the Martian surface, compared to the Curiosity Rover, which can drill a few inches deep. ExoMars will look for signs of life on Mars. In contrast, Curiosity is searching for signs of past habitable environments on Mars. Dr. Pinnick has a Ph.D. in Analytical Chemistry from Texas A&M University and a B.A. in Chemistry from Minot State University. Dr. Pugel is both a Physicist and Electrical engineer at the NASA Goddard Space Flight Center in Greenbelt. She is a recipient of the Women in Aerospace’s Achievement Award for her work on the thermal-protection system on NASA’s Orion crew exploration vehicle. Orion represents the next generation of human space exploration and missions to an asteroid, the moon and even Mars are envisioned in the near future. The Alliant Director for the Federal Systems Division of IBM, a world in information technology and services. Over the last 27 years, Dr. Raaen has held many technology leadership positions at IBM, Chase Manhattan Bank/ Intelisys Electronic Commerce; and Cable & Wireless. She has also served as Chief Technology Officer and Deputy Chief Information Officer with the US Department of Education; and Executive Scientific Appointee with the National Cancer Institute. Ms. Royster works for the National Oceanic and Atmospheric Administration’s Restoration Center. where she helps restore coastal, marine, and migratory fish habitats. This includes opening rivers to fish, reconnecting coastal wastelands, restoring corals and rebuilding shellfish populations. In Maryland, NOAA’s Restoration Center has spent many years improving fish passage on the Patapsco and restoring oysters in the Chesapeake Bay. For the past eight years, Ms. Royster has managed projects restoring coral reefs, oyster reefs, and enhancing fish passage in Maryland, the East Coast, the Caribbean, and the Pacific. Ms. Royster has also worked all over the world: on the East Coast of the U.S., in the Caribbean, Australia, Fiji, Honduras and Belize. We wish we had her job! Along the way, she worked at Marine Protected Areas in Australia and the U.S., assessed coral reefs in Australia, Fiji, Honduras, and Belize, managed people, wildlife, and birds, taught kids on a barrier beach in Rhode Island where she tagged horse crabs and monitored endangered Piping Plover that nest on the beach. Ms. Royster earned her Master’s in Environmental Science and management from the University of Rhode Island; a graduate certificate in tropical biology and Conservation from the University of Missouri, St. Louis, and her bachelor’s in biology from St. Olaf College. Dr. Scott studies materials that flow out of active galaxies (the ones with bright centers, believed to be caused by black holes). She gets here data from telescopes all over world and of course, from the Hubble telescope in space. She was inspired to study science after watching Carl Sagan’s PBS series Cosmos as a child. She holds a PhD in astronomy from the University of Arizona, Tucson and a B.S. in physics from the University of North Carolina. You can read more about here on the NASA website. Ms. Smith is the Exhibition Program Manager at the Lemelson Center and the Project Director for “Places of Invention” at the National American History Museum. While not a scientist per se, Ms. Smith research work focuses on the history of science and innovation and has much to say on how spark an child’s interest in innovation. You can view her on the Smithsonian Channel’s show: Electrified: The Guitar Revolution at http://www.smithsonianchannel.com. She has a B.A. in History from Pomona College where she studied U.S. history of technology and invention, including invention and development of the electric guitar, relationship among invention, creativity, and play, and the inventive process. Florence Tan (second from right) is the lead electrical engineer on the Sample Analysis at Mars (SAM) team. SAM is the laboratory inside the Mars Rover, Curiosity. When Curiosity collects rock samples from the Martian surface, SAM analyzes those samples for any signs of microbial life. Ms. Tan is a graduate of the University of Maryland and has worked on various missions for NASA for more than two decades. She was born in a Malaysian fishing village. These days when she’s not communing with her instruments in outer space, you can find her leading impromptu yoga sessions for her NASA colleagues, or studying “The Joy of Lex” for winning Scrabble words. Ms. Tan spoke at our first Girls Get Science event in spring of 2011 – we’re pleased to have her back! Ms. Thompson was told in high school that the math and science courses she’d have to take to become a mechanical engineer were too hard for her! Luckily, she didn’t listen. She went on to get a bachelor’s in mechanical engineering from SUNY Stony Brook, Stony Brook, NY., and a master’s in aerospace engineering from the Georgia Institute of Technology in Atlanta Georgia. She encourages the next generation to pursue their dreams or passion and refuse to settle for less than they are capable of achieving, just as many of those around her wouldn’t let her settle. Dr. Trainer examines the atmosphere of planets that are currently lifeless. She is looking for the molecules that are the building blocks of life. Right now she is looking at one of Saturn’s moons, Titan, whose atmosphere contains methane; and analyzing data from the Curiosity rover to study the atmospheric composition of Mars. How can we explore the atmosphere of Titan, whose temperatures are about -180 degrees Celcius — that’s -288 degrees Fahrenheit! If you put a penny or a plastic spoon into this liquid, it would instantly freeze and crack. Dr. Trainer’s team is investigating sending a robotic boat! She is also working with other to send a probe to the super-hot, high pressured atmosphere of Venus. “One of the coolest things I’ve done at Goddard was develop a special piece of equipment that essentially sips the cold lake liquid. We had to use special materials to protect against the extreme cold and to make sure that the sipper would actually work in the lake liquid. It took some doing, but we were able to make it work,” Dr. Trainer says. Dr. Trainer earned her PhD in chemistry from the University of Colorado, Boulder, and her bachelor’s in chemistry from Franklin and Marshall College, Lancaster, Penn. Lisa White has conducted field work with various coastal and marine species from seabirds (piping plovers, terns, puffins), to sea turtles (leatherbacks, greens), to marine mammals (Hawaiian monk seals and our favorites, humpback whales!). She now works as a Marine Resource Management Specialist for the Office of Protected Resources at the National Oceanic and Atmospheric Adminstration’s Fisheries division. What does that mean? It means she monitors and reduces interactions between marine mammals and commercial fisheries. Ms. White completed a Master’s of Environmental Management degree in coastal environmental management at Duke University. She holds a B.S. in biology from Hobart and William Smith Colleges. Dr. Witkin has worked for the NIH in a variety of capacities including the NIH Office of Research on Women’s Health and the Office of Intramural Training and Education (OITE). At OITE she designed and implemented training programs for summer interns. She has also helped to establish research programs for community college and high school students at the NIH. Dr. Witkin is currently a program director in the National Cancer Institute. She began her training in biological sciences as an undergraduate at Wellesley College, and then received her doctorate in molecular and cell biology from the University of California Berkeley. She then taught cell biology at the University of Massachusetts Boston before coming to the NIH. Her professional interests include science education, science communication, and science policy. Nancy Young specializes in protecting large whales and other species protected under the Marine Mammal Protection Act. Here’s her official title: She’s a marine resource management specialist for the Office of Protected Resources at National Oceanic and Atomospheric Admnistration’s Fisheries division. Phew! Sound familiar? She works with Lisa White, whose bio is above. Ms. Young has previously worked for NOAA Fisheries in Honolulu and Florida, where she focused on reducing the impact of commercial fishing on marine mammals. Ms. Young a Master of Environmental Management degree in coastal environmental management at Duke University and a Master of Research degree in marine mammal science at the University of St. Andrews in Scotland. She holds a B.S. in Earth and Ocean Science from Duke University. In her free time, she enjoys hiking, reading, and traveling.